ГлавнаяМорское ЧтивоShip NavigationShip's Safety & SecurityWhat are the Duties of the Contracting Government (CG) under the ISPS Code? The International Ship and Port facility Security Code (ISPS) was implemented by the International Maritime Organization (IMO) to establish a framework involving maritime nations and the shipping industry to enhance security at the sea. Several steps have been taken under the ISPS code to enhance the security of ships. The main objective of ISPS code is to build co-operation between governments of maritime nations and the international shipping industry to detect security threats related to maritime operations. Under the ISPS code, governments of maritime nations abiding by the implement rules are known as contracting governments (CG). The contracting government plays a vital role in order to ensure that the ISPS code is followed properly by the companies and port authorities. It is also the duty of the CG to assimilate information regarding possible maritime threats and their consequences. This information is then to be provided to the ships and ports in form of instructions and security guidelines. 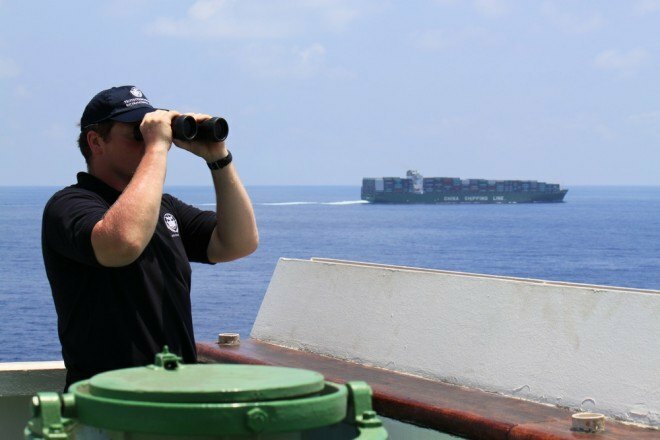 It is necessary that the contracting governments work in coordination with the ISPS authority, gathering and assessing information regarding security threats to the shipping industry.